Congratulations to the following senior student-athletes who are committing to continue their academic endeavors and athletic careers in the NCAA. 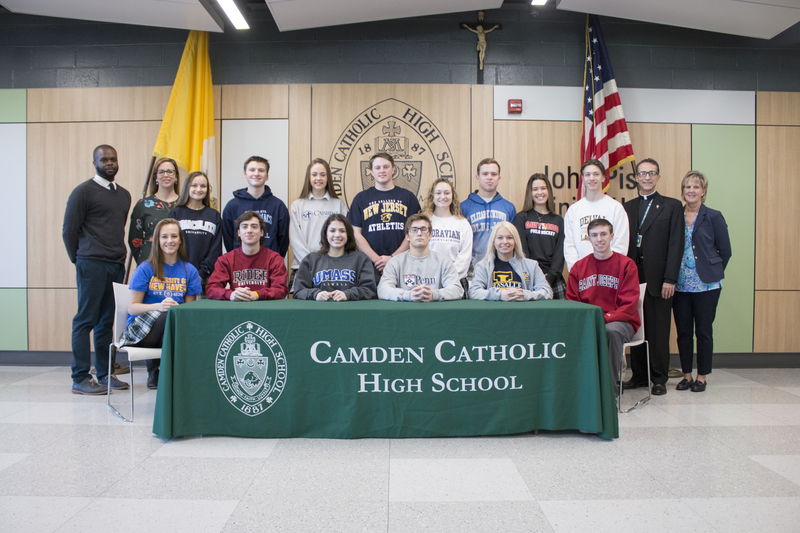 These students are proud examples of the honor, faith, loyalty and discipline that are instilled in each Camden Catholic student. In a Convocation Wednesday ceremony, the 14 seniors were lauded for their accomplishments by Rector Fr. Joseph Capella, and provided with some advice from faculty member and longtime coach Mr. Jim Crawford.